The NHL had not had a black player since its inception in 1917. That color barrier was broken on January 18, 1958. A black Canadian hockey player from the minor league Quebec Aces was called up by the Boston Bruins. 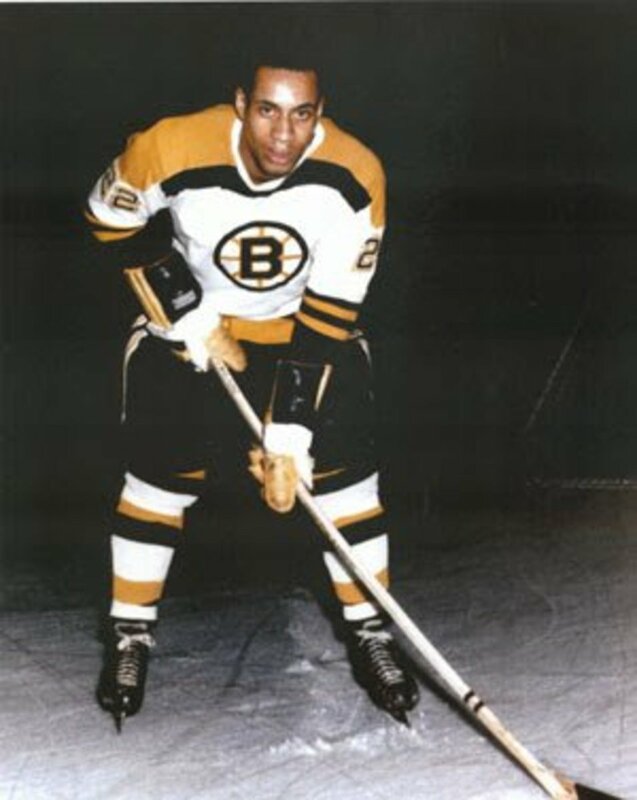 Willie O'Ree took the ice and played for Boston in a game against the Montreal Canadiens. He became the first black hockey player in NHL history. He was often referred to as professional hockey's Jackie Robinson. 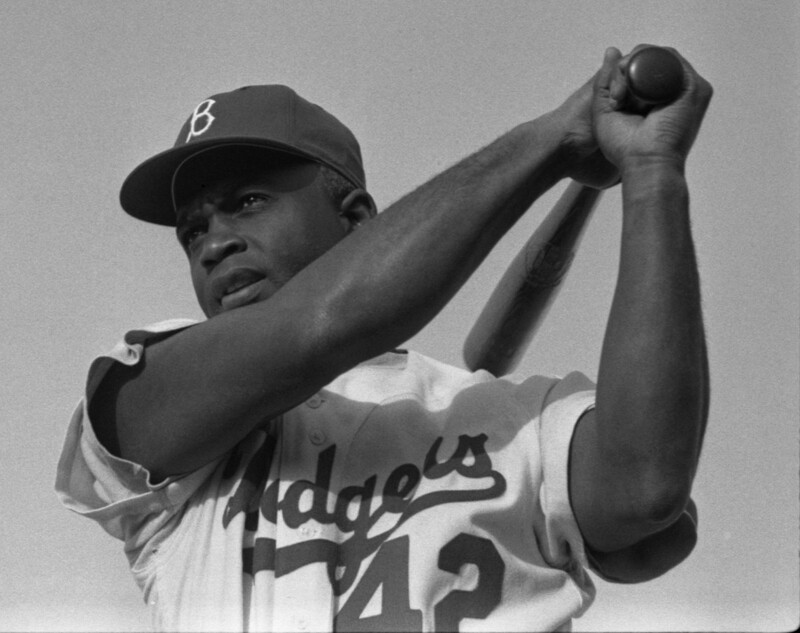 O'Ree had met Jackie Robinson in person twice when he was growing up. After O'Ree played in the NHL, there was not another black hockey player in the league until 1974 when the Washington Capitals signed Canadian player Mike Marson. 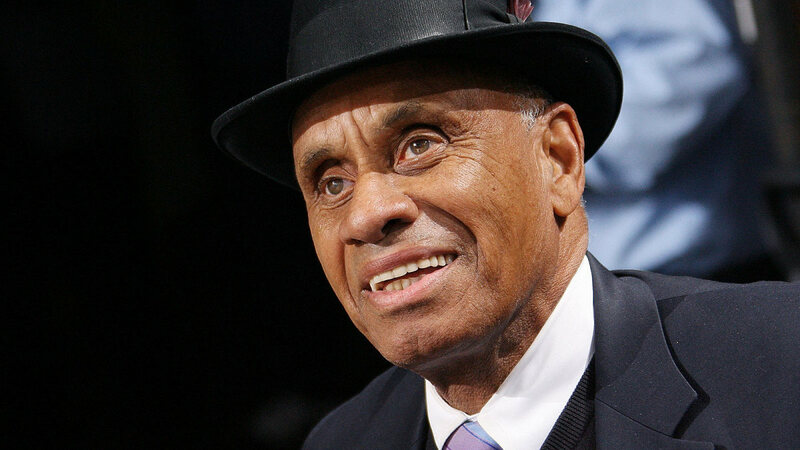 Willie Eldon O'Ree was born on October 15, 1935 in the city of Fredericton. It is the capital of the Canadian province of New Brunswick. He was one of 13 children. The city of Fredericton only had two black families. They both lived on the same block. O'Ree learned to skate when he was three. He loved being on the ice and took every possible opportunity to skate. At the age of five, O'Ree began to play organized hockey. As he grew older, his athletic abilities on the ice were recognized. 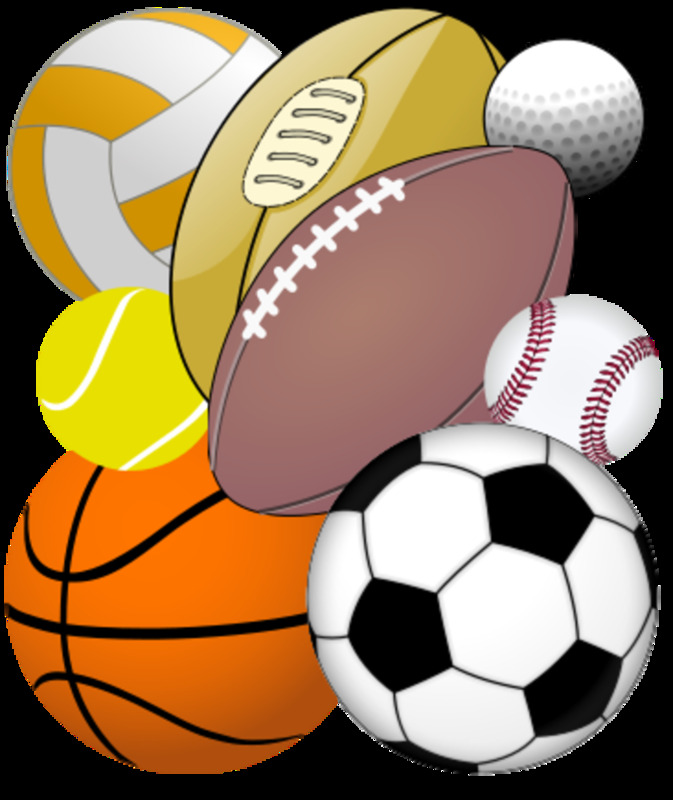 O'Ree was a multisport athlete. He excelled most at hockey and baseball. His ability to play baseball was also recognized. O'Ree received an invitation to try out for the Milwaukee Braves. 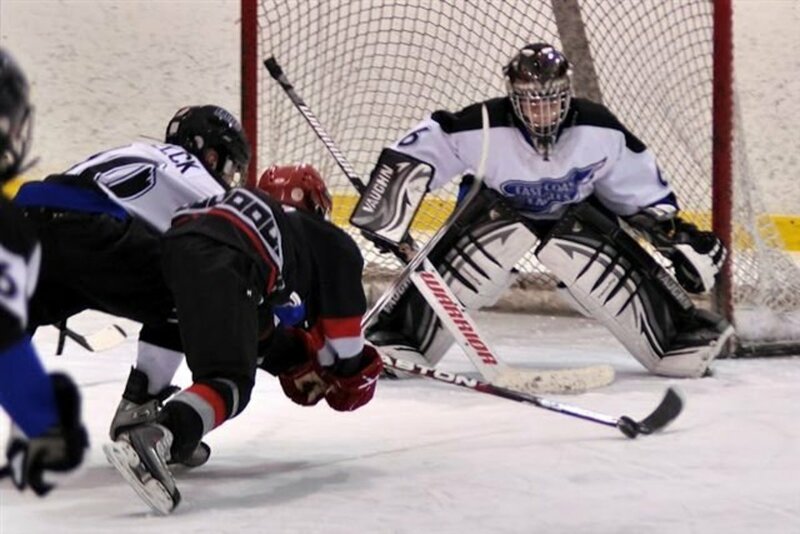 He chose to make hockey his athletic career. O'Ree began to play for the Kitchner Canucks of the Ontario Hockey Association during the 1955 season. During the 1955-56 season with the Kitchener Canucks, O'Ree went toward the net when a teammate took a shot. The puck was deflected by a defenseman's stick. It struck O'Ree hard in the right eye. He grabbed his face and fell to the ice. O'Ree was then rushed to the hospital. There a doctor informed him about the extent of his injury. The retina in O'Ree's right eye was shattered. He had lost ninety-seven percent of the vision in that eye. The doctor told O'Ree he would not be able to play hockey again. He went home to Fredericton to recover. O'Ree only told a close friend and one sister about the damage to his eye. The next fall he was given an invitation to try out with a minor league team called the Quebec Aces. Everyone in the hockey league knew about his accident. They all assumed O'Ree was completely recovered. He never said anything about his vision loss. He was never asked to take an eye exam. O'Ree was picked up by the Aces. That season he scored 22 goals and Quebec won their league championship. During the following hockey season, O'Ree would play for the Boston Bruins and make NHL history. 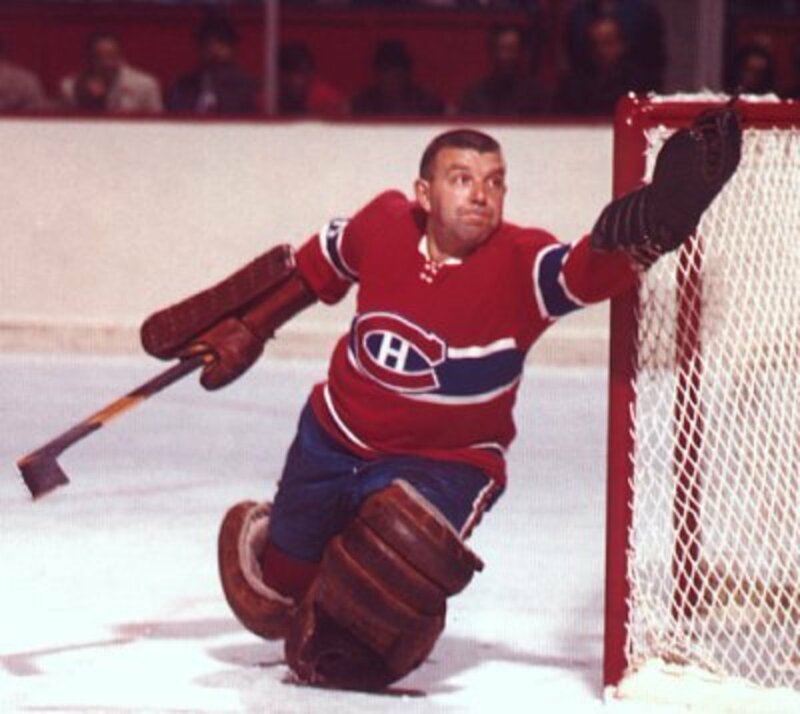 It was just a regularly scheduled NHL game between the Boston Bruins and Montreal Canadiens that took place on January 18, 1958. Prior to the start, it was obvious to the players and coach that O'Ree was nervous. 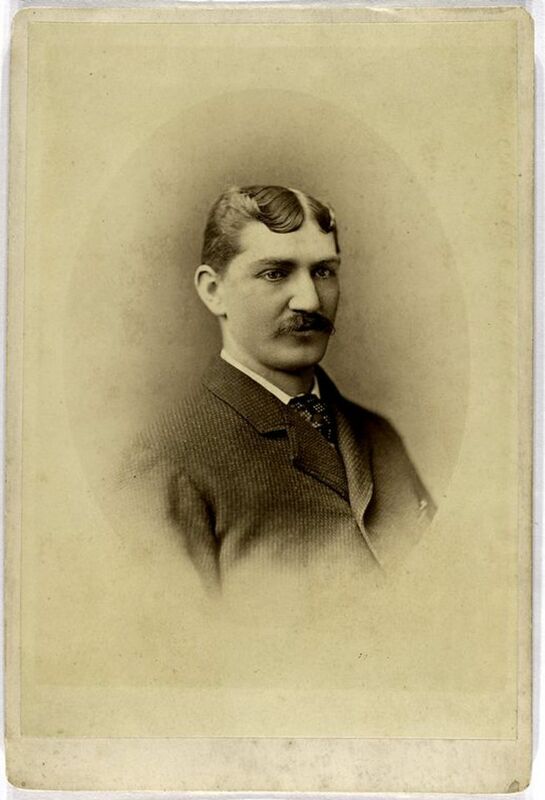 Milt Schmidt was the Boston coach. He sat down and talked with O'Ree. Schmidt let him know the entire Bruins organization understood the pressure O'Ree had to be feeling because of the situation. As the first player of his race to play a game in the NHL, O'Ree was about to make sports history. Schmidt told O'Ree he also had the support of all the Bruins players. These words meant a lot to O'Ree. After seeing him relax, Schmidt looked at O'Ree and told him to just go out and play hockey. During the game, O'Ree had no goals and no assists. 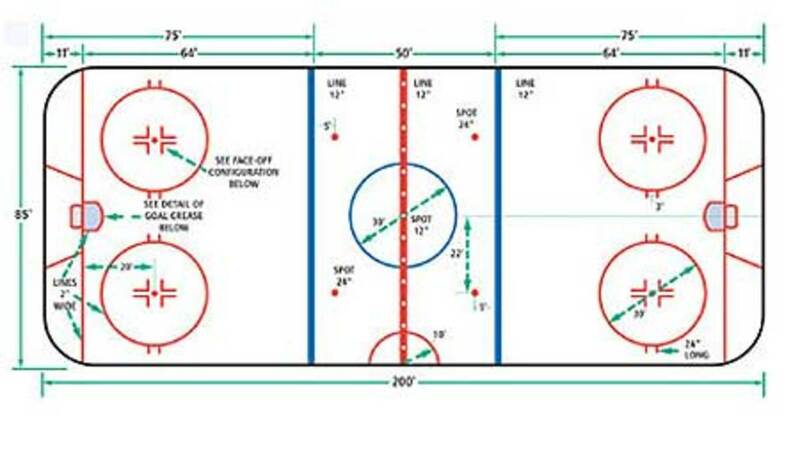 With 3:59 left in the game, the Bruins led 4–3. The Canadiens then got a power play goal. Montreal went on to win the game in overtime. It didn't matter to the Bruins. The team realized they had just been part of NHL history. During the 1958 NHL season, O'Ree only played two games for the Boston Bruins. After the second game, he was sent back down to the minor leagues. 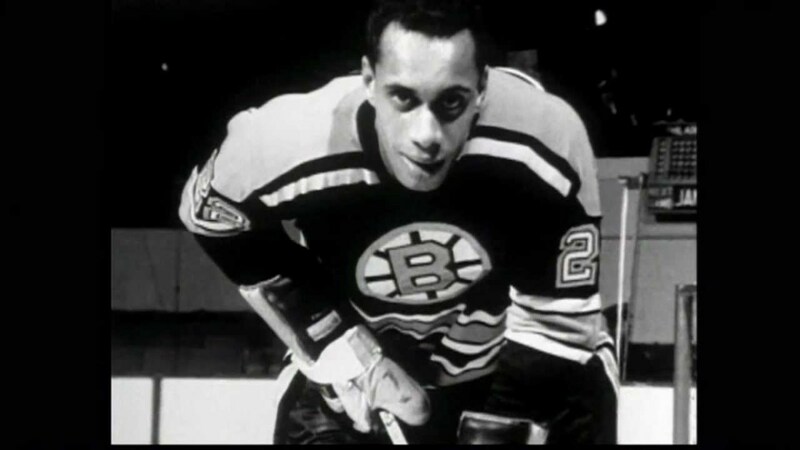 During the 1960 – '61 NHL season, O'Ree was called back up by the Bruins. During this season, he played in 43 games. 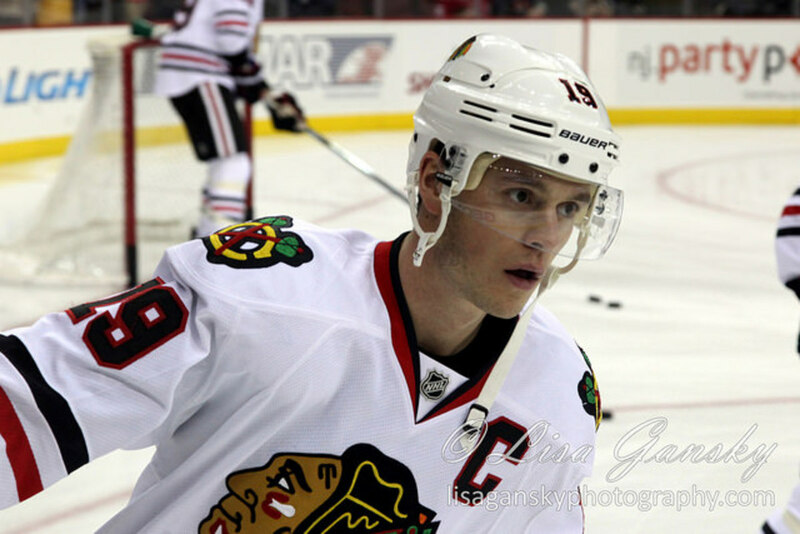 During this time, he was able to score his first NHL goal. It happened during a game that was played on New Years day in 1961. During his NHL career, O'Ree scored four goals and 10 assists. He did all of this during the 1961 NHL season. Willie O'Ree during his NHL career. 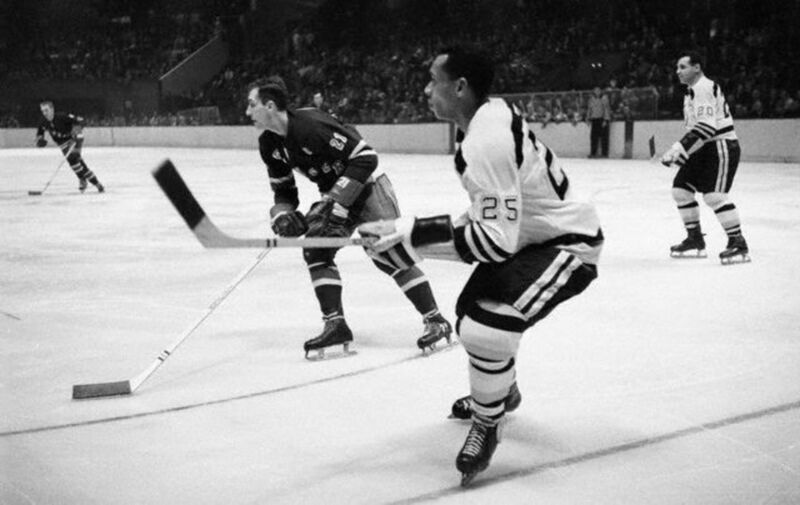 During the 1958 game and his entire time playing in the NHL, O'Ree experienced racism. He experienced much more racism when playing in American cities than when in Canadian cities. Fans would shout racist comments and wonder why he wasn't in the south. Many would throw cotton at him. Sitting in the penalty box is when it was the worst for him. O'Ree told people he just wanted to be a hockey player. If the fans couldn't accept that it was their problem and not his. O'Ree did not affect the NHL in the same way Jackie Robinson impacted the MLB. 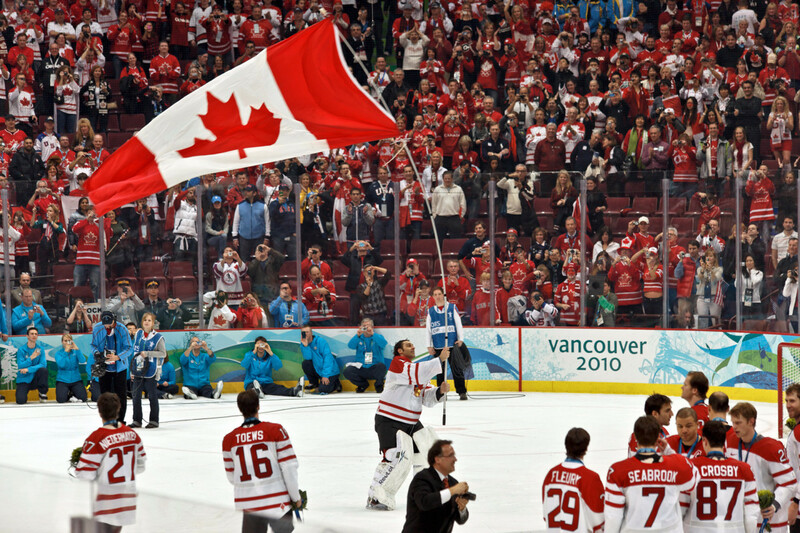 Hockey is a sport where the percentage of black players is extremely low. O'Ree did make a statement about blacks playing hockey. It was heard around the entire NHL. O'Ree spent most of his time playing professional hockey in the minor leagues. Between 1961 and 1974 he was part of the Western Hockey League (WHL). During this time, he won two scoring titles. O'Ree played six seasons with the Los Angeles Blades. During the 1964-65 season, he had a career high in scoring with 38 goals. Prior to the start of the 1967 season, he was traded to the San Diego Gulls. He spent seven season with the Gulls. During the 1968-69 season, he established a new career high in points with 79. He earned second team all-star honors in the Western Hockey League (WHL). O'Ree retired from playing hockey after the 1978-79 season. He was 43 years old. In 1984, O'Ree became part of the New Brunswick Spots Hall of fame. The Sports Museum of New England created a special exhibit dedicated to O'Ree's career. The exhibit has many of his hockey items on loan. San Diego State University presented O'Ree with an award for outstanding commitment to diversity. 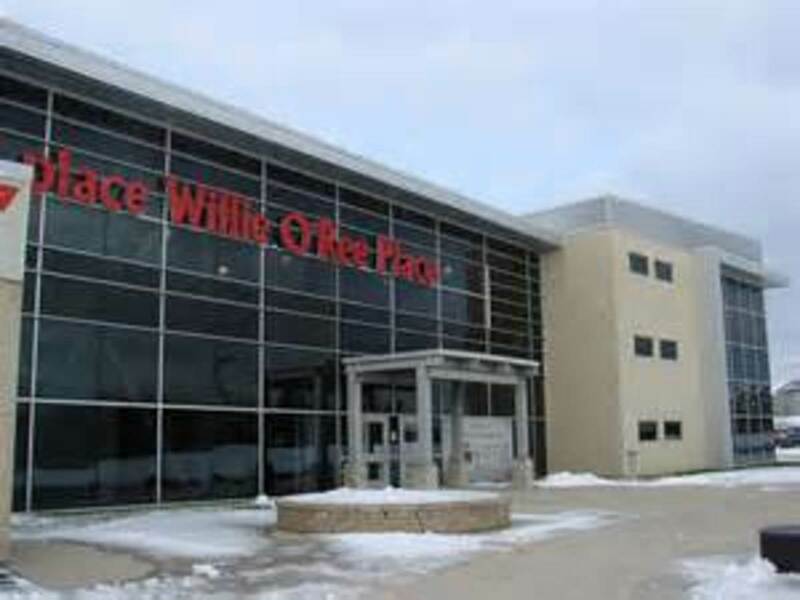 A sports complex located in the city of Fredericton was named Willie O'Ree place in 2008. He was also inducted into the San Diego Hall of Champions. O'Ree also received the Order of Canada in 2010. This is the highest award for a civilian in Canada. The Boston Sports Museum presented O'Ree with the Hockey Legacy Award in 2011. Since 1998, Willie O'Ree has been serving as the NHL's Director of Youth Development. He travels around the United States and Canada introducing hockey to young boys and girls. Before O'Ree started, there were only a few programs available. Now there are over 30 such programs available for youth. He enjoys being with the children. O'Ree tells people being with the kids is almost as important to him as breaking the color barrier. Important article. Voted up and shared.